DIRECT FROM LOURDES - Gold 3 Dimensional Communion Chalice Card. 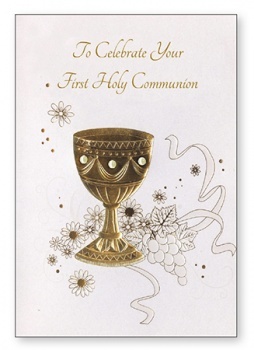 Gold 3 Dimensional Communion Chalice Card. A special prayer is sent your way on this your First Communion Day. May God's love guide you and bless your life with every happiness.